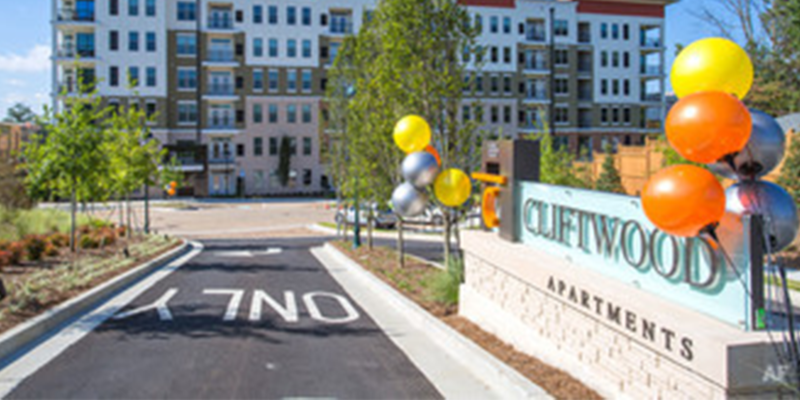 Innovative Roofing was selected by Landmark Urban to install the roof at The Standard, a student housing project near the campus of the Georgia Institute of Technology. 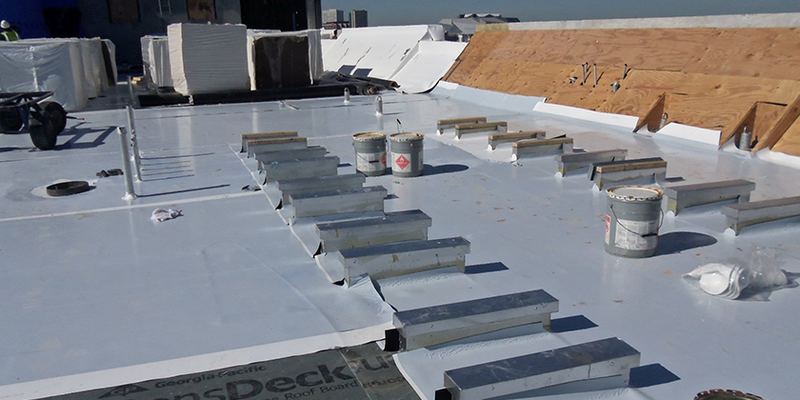 The tapered design included a fully-adhered 80mil TPO system incorporating the Carlisle APEEL protective film protection. Due to project delays, Innovative Roofing Group’s team worked with the membrane manufacture to adjust the roofing system specification to allow for an accelerated installation and the Innovative Roofing Group team worked overtime and through a holiday weekend to deliver the expedited construction schedule. 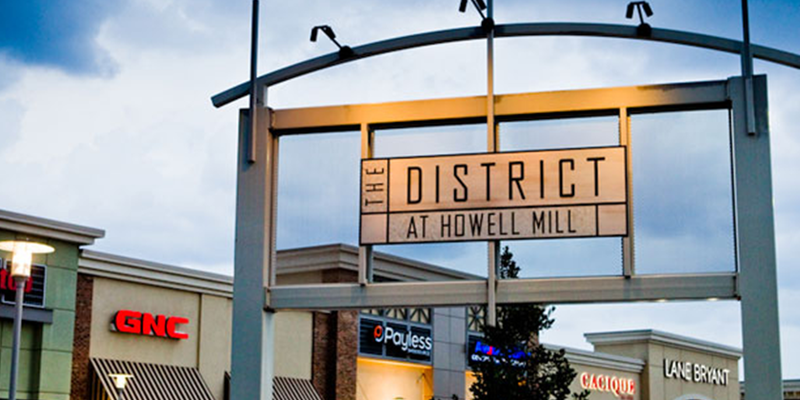 The district at Howell Mill is a uniquely planned, urban shopping center featuring retail, dining and residential amenities. The project includes a large number of roof sections that total 350,000 square feet in total. The Wal-Mart portion of this project was constructed under the shopping center and IRG installed the roof with only 7feet of clearance above.